Claro Walnut grown in Oregon, is usually a cross between Eastern Black Walnut and California Claro Walnut, but some of the trees are pure Black or Claro. Lots of rain, mild winters, a mineral rich soil, and occasional days of sunshine combine to produce Walnut trees that grow up to 6' diameter in about 100 years. Claro Walnut lumber is beautiful with deep rich brown and purple tones. Some of the boards have marble cake pigment figure with blacks, greys, greens, golds and reds. 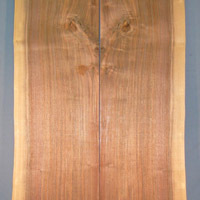 We also have some material with curl figure (Fiddleback) in musical and furniture grades. 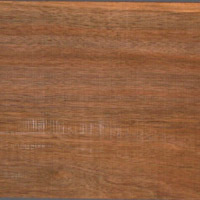 Over the years we have come to love the beauty, stability, and machineability of Claro Walnut. It is the finest temperate zone hardwood and ranks with Brazilian Rosewood and a few others as a truly world class material.